Это было очень давно, когда не было не только интернета и компьютера, но и почты, и писем. В древние времена люди передавали сообщения «из уст в уста», а «посланники» должны были обладать хорошей памятью и уметь быстро бегать. Внимание! Предложения, содержащие конструкцию пассивного залога выделены в тексте оранжевым цветом. We receive a lot of emails every day. It has become such a usual thing. It’s a fact that people have stopped writing letters. It is going out of date. Just imagine only a hundred years ago we looked forward to an envelope in our postbox. And it came to us in many trains,it flew through air, over the mountains and seas, it passed through the hands of many people. It is so simple to send emails today that people never remember that it was once a very difficult and special task. In ancient times “letters” were brought by runners – men who could run fast and far – and the “letters” they carried were not written, but were told to a receiver. Postmen in those days had to have a good memory, and they had to be honest. 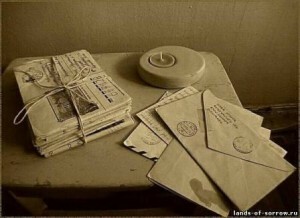 This was especially important: the “letter” often had important secrets in it, it had to reach only ears of the receiver and without any change in it. Post runners were met everywhere with respect and honour. Nobody was allowed to stop them or to do anything against them. History has many stories about runners and descriptions of what they did. Traditions connected with the postal service were different in different countries. In Mexico, for example, after a battle the people knew by the runner’s clothes whether the message he was carrying to the capital was good or bad. If he had on a white belt and his long hair was tied with a red ribbon it meant that the battle had been won; if he came from the battle field with his hair untied, he carried the news that the battle had been lost. Post runners sometimes had other duties besides carrying letters. Indian post runners in Mexico, where the postal service was very fast, were sometimes used to send – fish! Sea fish for a king’s table. The capital was four hundred kilometers from the sea. Why have people stopped writing letters? Do people look forward to receiving emails? Повторите вопрос и ответ несколько раз в разных вариациях. Постарайтесь использовать в них новые фразы. 2. Переведите предложения с конструкцией пассивного залога.